No doubt, intense discussions surrounding risk tolerance and behavioral finance are on the rise. Michael Kitces, who writes the Nerds Eye View Blog, has written a very good summary on the state of play regarding risk tolerance questionnaires in his article: The Sorry State of Risk Profiling Questionnaires for Advisors. Michael articulates various risk factors in distinguishing between tolerance, capacity and perception. Likewise, for advisors using Financial DNA, addressing the differences between tolerance, capacity and perception is very clear. And these users are provided with the structured framework in which to do it. Then there is how the risk profile is used. In goals-based planning, where the client has a portfolio designed to achieve buckets of goals, there may be multiple risk profiles. Given that there are different goals, the risk tolerance of the client must be known and the framework outlined and applied. Many advisors believe that risk tolerance can be determined by observation or casual interaction. However, these methods are neither objective nor validated. Relying on the advisor’s perception of the client under preset circumstances (in a comfortable office or out for a meal) opens the door to a myriad of pitfalls. 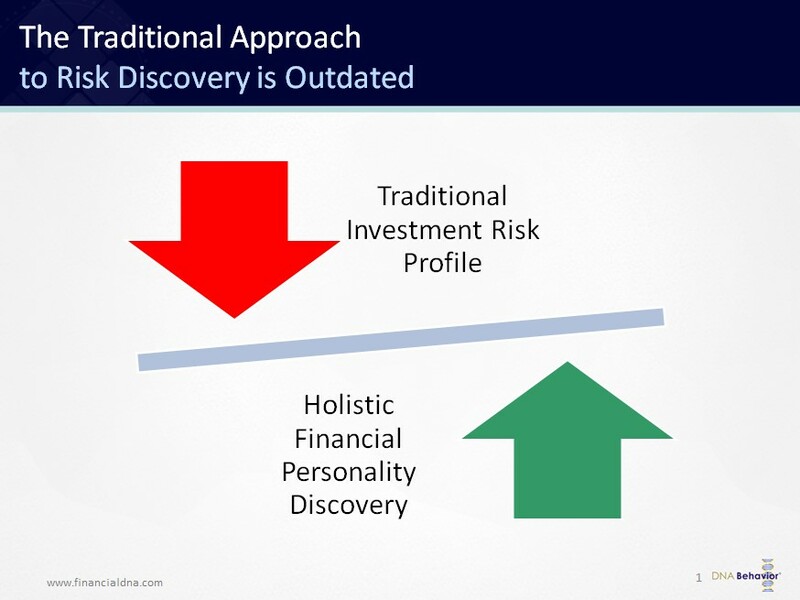 The advisor is influenced by their own risk profile and biases, which removes objectivity. The client, while self-reporting, may not be faced with the pressures of considering a volatile market or other life-changing event, which would alter decision making or goal-setting, again removing objectivity from the equation. Also, not using a validated psychometric risk profiling process means that the advisor does not have a consistent process for handling the risk conversation with the client. This further leads to discolored results, and not just for a given client, but across the entire firm. While current regulations do not specify that a validated psychometric process must be used, it is the direction in which we’re headed. If the firm wants to have a robust process of mitigating client complaints and maintaining compliance, these tools provide the solution. Plus, as Kitces points out, it is not just the tool itself, but also the planner’s behavior and skill in deploying the tool that is important. Conversely, some advisors state that they do not wish to bother a client with more paperwork, so they do not have them complete a risk questionnaire. But experience shows that the addition helps keep the focus client centered during the planning process, plus the client feels more engaged because they’ve participated at a higher level. 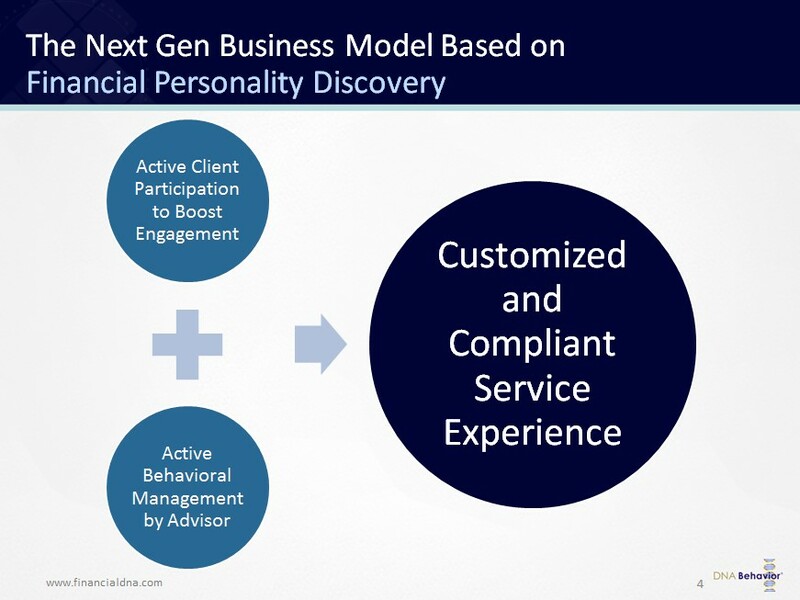 So it becomes a service quality enhancement, which deepens the advisor / client relationship and ultimately leads to greater revenue. Next, the discussion turns to the design of the actual risk tolerance questionnaire – “right data in, right data out”. Kitces is right (as is Plan Plus), most tools are inherently flawed for many reasons, and many purport to be something they are not. The questionnaire structure is important to the outcome, and must follow an accepted psychometric model. Our view is that all of the risk profiles (even the validated ones) use situational based questions – that is, the client could respond to the questions differently depending on any one (or combination of) market or personal events, attitudes, feelings, perceptions, education etc. While this template provides a basic baseline profile, it does not provide the most accurate or effective insights as to the emotional state of a client. 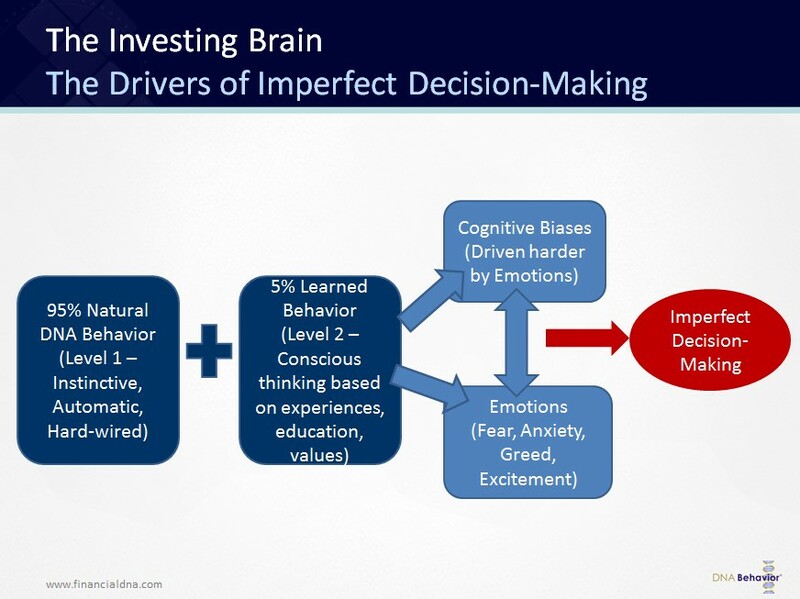 Daniel Kahneman, psychologist known for his extensive work in behavioral finance and decision making, details our “Level 1″ automatic decision-making style as when we are under pressure or how our baseline, “hard-wired” instincts will drive decision-making. So unless a clients (or your own) Level 1 style is known, it is impossible to build a long-term portfolio, as it will be emotionally incompatible. So the questionnaire has to be designed to uncover this Level 1 behavior – free from personal or situational bias. 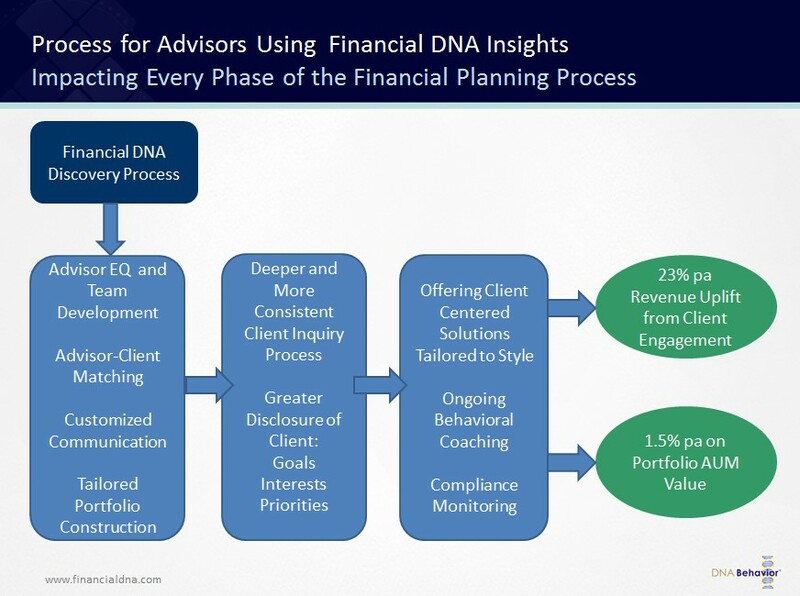 The Financial DNA design does just this and the validated results are accurate and constant over time. 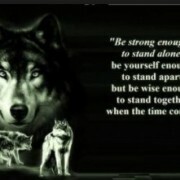 Whats missed in all of this is risk tolerance being only 1 dimension of a clients financial personality. 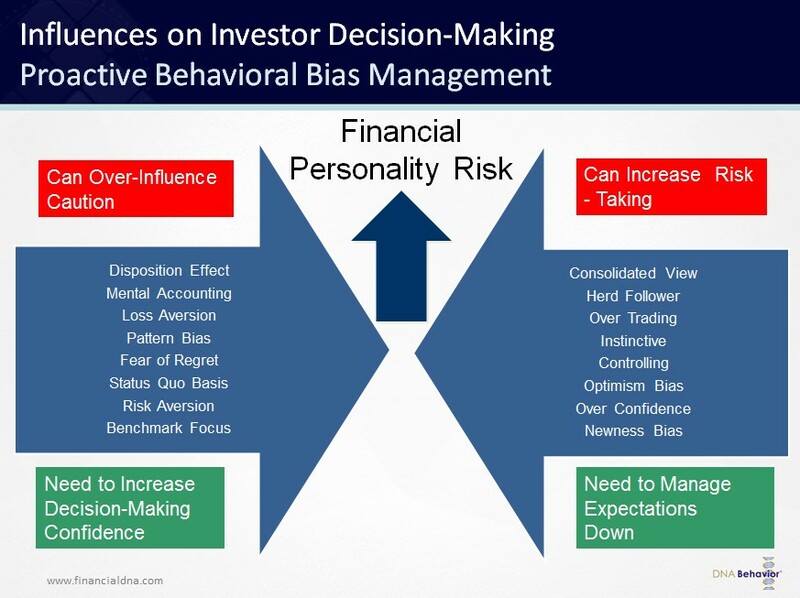 There are several more factors to consider within the broader field of behavioral finance in order to fully understand the decision-making biases of both the client and advisor. 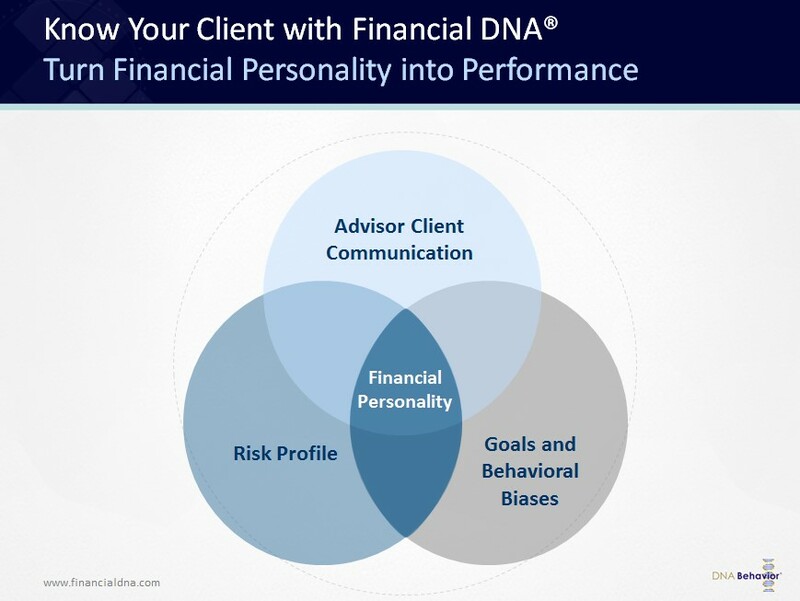 Not communicating these biases only creates more risk to the client / advisor relationship, decision-making, goal-setting and overall compliance. So, the risk discussion is not complete without knowing the clients full set of behavioral biases and knowing how to communicate on the client’s terms. And this is why it is so important that the questionnaire design must be objective, robust and validated. One thing for sure is, the regulatory process will not go backwards. And in today’s competitive and complex world, costly client complaints will not go away. But, on the positive side, those advisors who are investing in building client centered and compliant processes have the upper hand. So, invest in a stronger “Know Your Client” process, as what is good for the client will be much better for the advisor and firm too. What is the Key to Effectively Managing Personal Finances?